When it comes to enjoying sushi, there are two ways to go about it: get all dolled up, find a date and head to a swanky spot or simply come as your are for a casual night out. 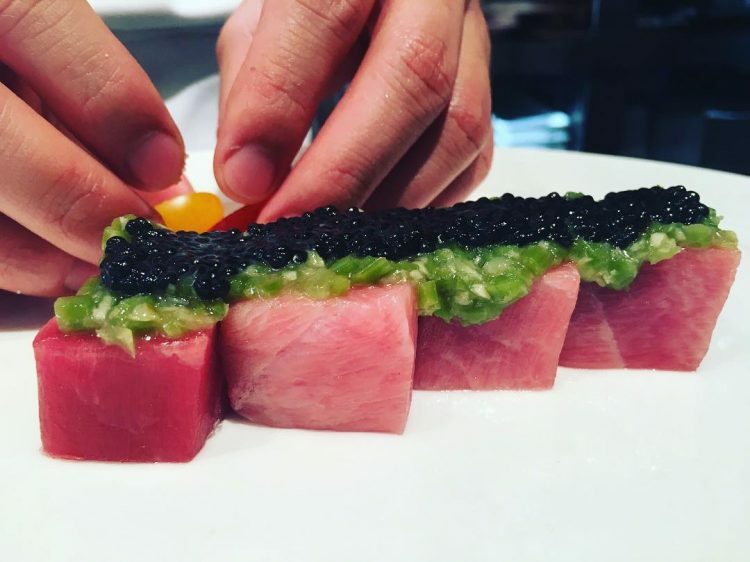 For those seeking a more high-end sushi adventure, try these Valley hot spots for a deliciously memorable experience. Sushi Roku at W Scottsdale dishes up one of the Valley’s most good-looking, sleek restaurants, with a great patio, to boot. With its dimly lit interiors, oversize booths and contemporary–yet warm–design, it is definitely a great spot to enjoy a hot date or a girls’ night out. Plus, the menu is tops: the baked lobster roll is utter decadence, while the Katana roll is another menu favorite, with tuna and yellowtail atop spicy tuna and shrimp tempura. The menu is offered alongside tasty cocktails, including the white peach sake-tini and Passion & Spice, kicked up with jalapeno. http://www.wscottsdalehotel.com/sushi-roku-scottsdale-restaurant. Known for its robatayaki-style eats, Roka Akor in Scottsdale has a somewhat limited, but amazing, sushi selection–even receiving applause from the likes of Travel & Leisure and Bon Appetit. To go all out, order up the deluxe sashimi platter; the presentation is beautiful and certainly special-occasion-worthy. If you want to go the roll route, the salmon-avocado roll and the crispy prawn roll are always table favorites. Toast with Roka Akor’s amazing selection of sake and shochu. www.rokaakor.com. James Beard Award winner Nobuo Fukuda dishes up five-star Japanese cuisine at Phoenix’s Nobuo at Teeter House. Whether you order the sashimi of the day from the dinner menu or dig into a Friday- or Saturday-night tasting menu (available with a 24-hour notice phone reservation), Fukuda is at the top of his craft at this fine dining yet funky restaurant. http://nobuofukuda.com. Check back soon for the best casual sushi restaurant roundup!